Hey everybody. Check out the cool art from HapyCow. 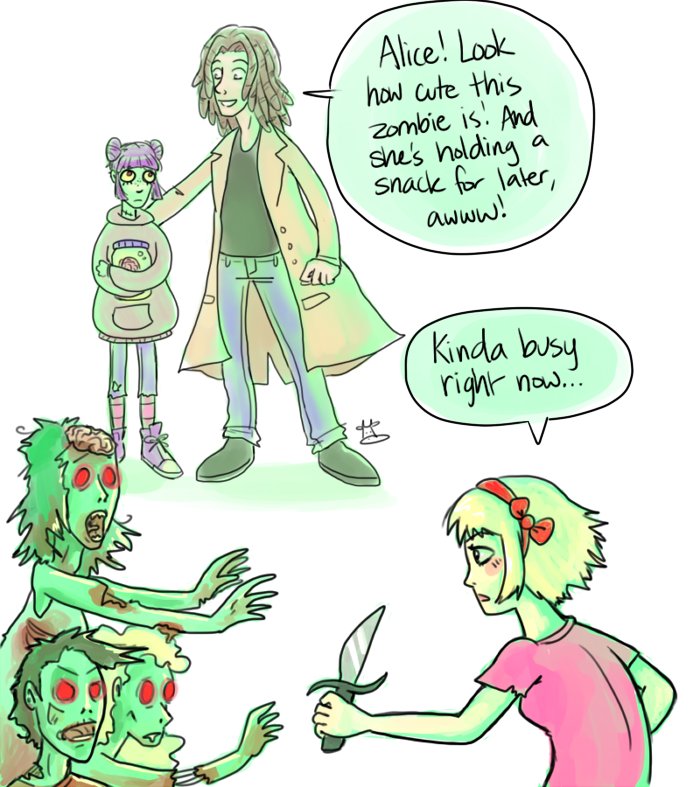 She contributed this to the Comic Fury Crossover Exchange and I love it. Yea. That's the twist. Its all a long crossover with Hell car! Seriously though, I'm terrible at drawing cars. 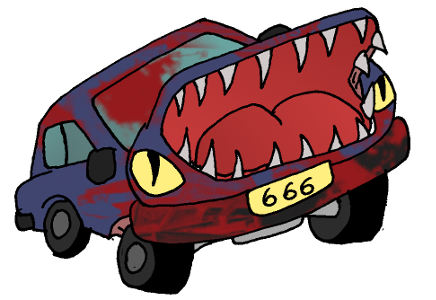 The first time one ever looked good to me was the time I did fan art for hell car. So it's no surprise that I want to keep aping that when I have to draw a car. That's the thing about comics - you have to be good at drawing EVERYTHING. It's exhausting! That's so cool! Thanks, man. You draw a really scary car!